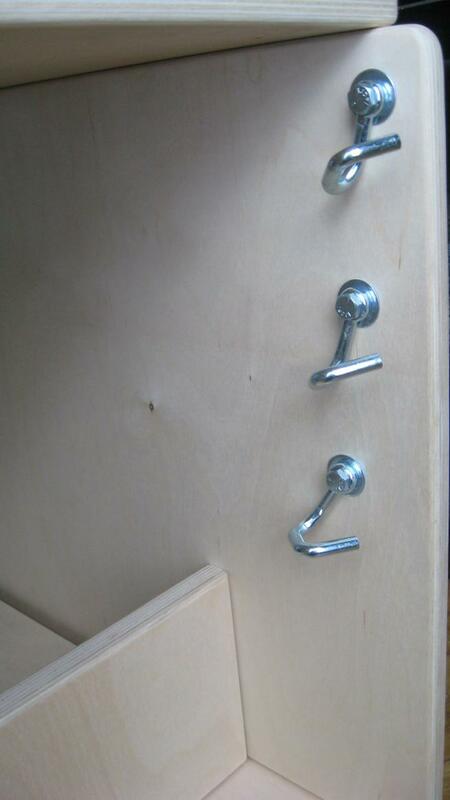 High quality wood, hardware & fasteners. 4 Hooks on the Pedal to support up to a 4 spring system. Chair comes with 2 springs. Many users add a 3rd and possibly a 4th spring for greater tension. 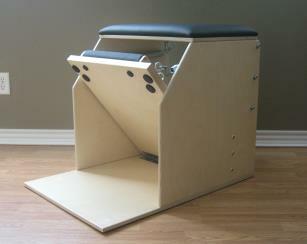 Copyright ©2014 Rocky Mountain Pilates Chairs, LLC. All rights reserved. The Steamboat is designed for home or studio use and is ideally for people 5'11" and up. Hand picked Birch in 13 ply Sides and Base with a 21 ply Pedal. Two-step finishing process; sanding and clearcoat finish. Spring changing system is thoughtfully designed to make spring-changing quick and trouble free. 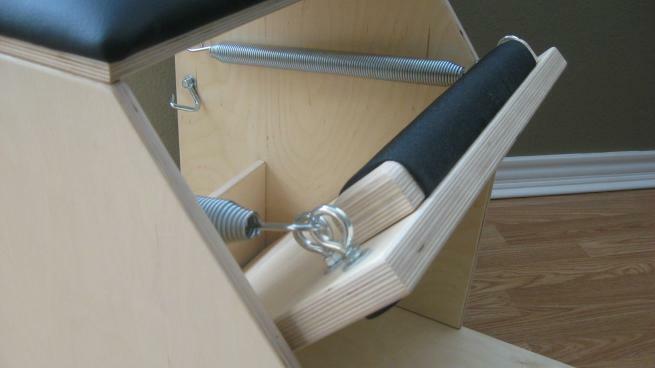 Six steel spring hooks (that I personally shape) on the back of the chair offer a variety of resistance levels. Orders will ship within 1-3 weeks via FedEx Ground. Prices INCLUDE shipping to the Lower 48 States (excludes HI, AK, and Puerto Rico). Please contact us for a quote to your area if you are located outside of the Lower 48 States. Joseph Pilates never intended for the pedal to be split. 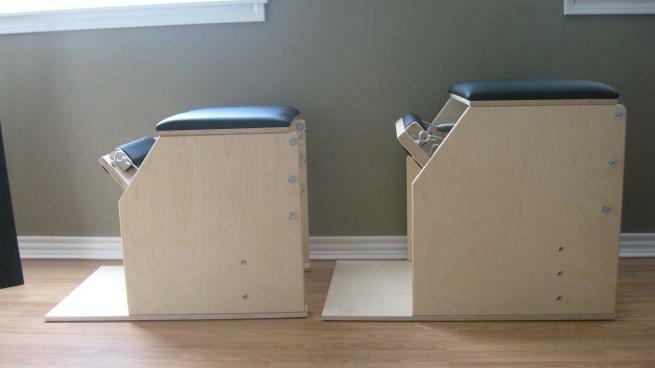 The majority of classically trained instructors and studios that I have sold to will only use a single pedal chair because it keeps the body symmetrical. It keeps the chair affordable. A split pedal system (for me to build) would drive the price up dramatically.